A trip to the local bike shop in 1977, changed Derek’s life. Now, at the age of 84, he is still riding his bike for transport and fun. Yet, Derek did not contain himself to Sydney and it did not take long until he’d ridden all over NSW. As life went on, Derek’s partner unfortunately ended up in a nursing home to which he cycled to multiple times a week. 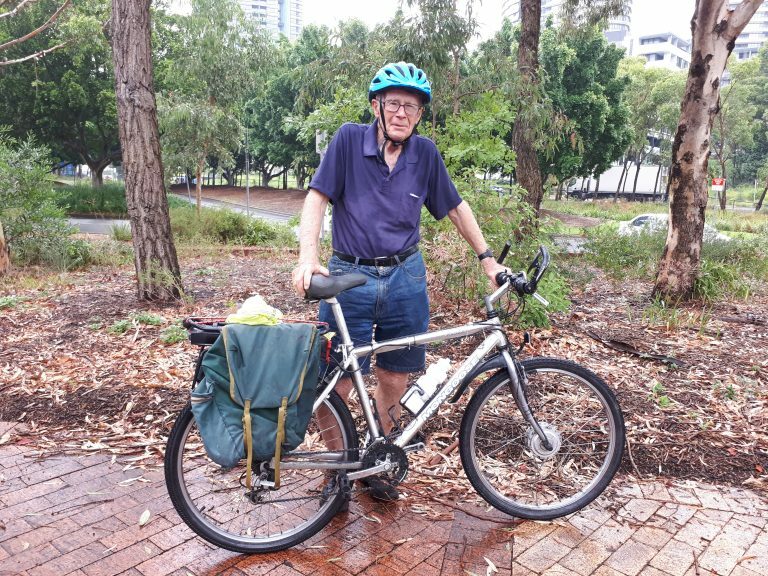 This added an extra 66 km a week and at age 75 he was starting to feel the extra kilometers. E-bikes have helped many people consider cycling as a form of transport or fitness. It helps the ageing to continue cycling and it helps the new riders to start swapping the car for the bike. Bicycle NSW loves what e-bikes can do for mobilisation among the community.